If you've bailed out a friend or relative there is a lot of pressure on you to ensure that person shows up at their scheduled court dates. If the defendant decides they do not want to participate in court and skips bail there will immediately be a warrant issued for their arrest. If you're the person that has posted bail for someone who has has skipped town or otherwise avoided their court hearing, you're likely a little nervous and somewhat in shock. It is quite unfortunate a person you are helping would do something like this to you, but be aware that the consequences will not be that bad as long as you cooperate with authorities as they try to find the missing defendant. After learning the defendant has missed court you should contact the bail bond agency that supported their release. If you have any ideas or information about where the accused person may be hiding be sure to tell the agency. There is a good chance that they will want to hire a third party to track and obtain the suspect. As the bail bond poster who paid the bond agency you may be financially liable for the cost of services such as these, but this cost is often much less than that of the total bail amount. There isn't a direct need to contact the cops at this point as they will already be aware that a person has missed court and a warrant will be issued for their arrest. Unless you can provide info about their whereabouts there's no need to call them. In fact, there is a good chance that the police will come see you first, as you were the person of contact on the bail release form. Answer any questions the police may have for you and don't lie, as that could land you in big trouble. Harboring a suspected criminal that is avoiding court is a serious crime that could result in you needing to be bailed out of jail as well. If a person asks if they can hide at your home and you're aware that they need to be in court, remember that you will be left with large fees and a chance of being arrested if they are found on your property. If you feel threatened or intimidated by the person you bailed out of jail be sure to call the police and let them know they're refusing to leave your home and return to court. As long as you do not hide a defendant and fully cooperate with police there is not much that can happen to you as an the bail bond poster. To learn more about this issue, or to request a bail bond in Marin County, California or the surrounding areas, reach out to 5 Star Bail Bonds. 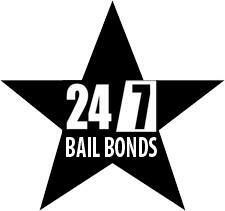 We strive to provide expert bail services for all people who contact us. Give us a call at (415) 479-4800 to learn more about bail bonds in California.